In a medium saucepan of salted boiling water, blanch the kale until wilted, about 30 seconds. Drain well. Squeeze out any excess water and coarsely chop. Transfer to a medium bowl. Add the next 7 ingredients, season with salt and pepper and mix well. 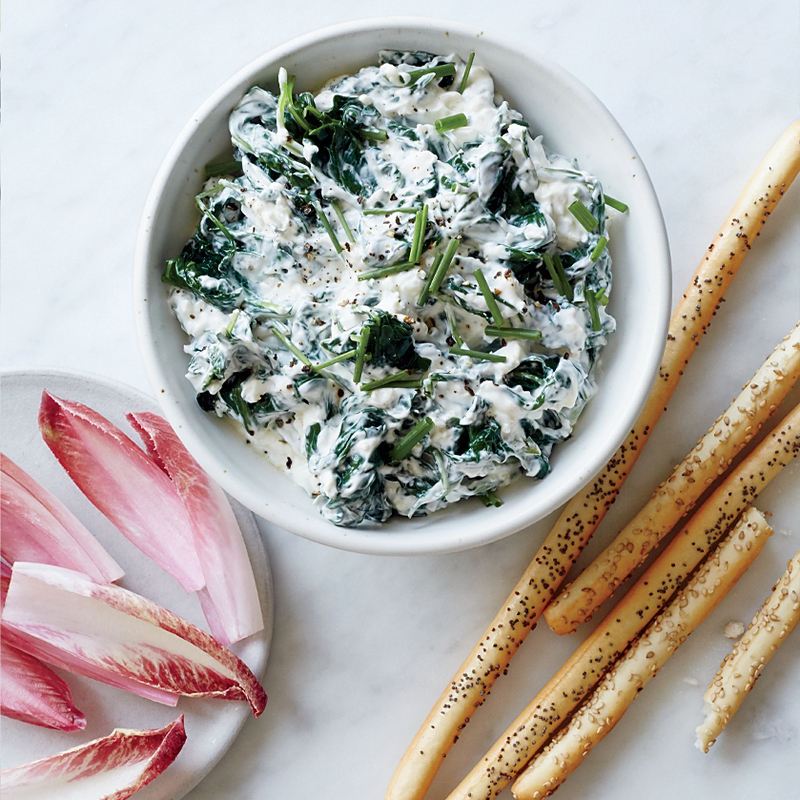 Serve with crudités.